Cleeeeean. But why do all the 3.0 bags have "glitter" in them? I think it's to help cover up any fogging. a-friend and tigo0240 like this. 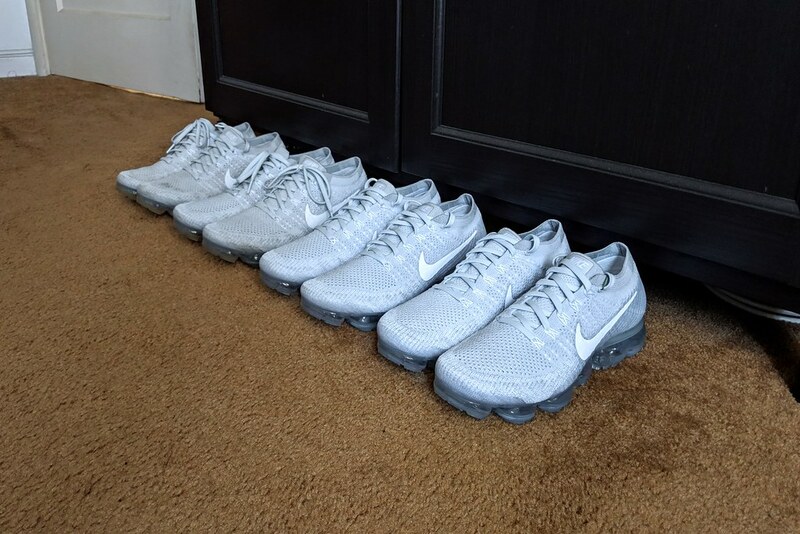 Lol I tried to keep the phone as consistent as I could to get the same pic of each shoe. Therefore the floor was the best way to achieve it. That is my only gripe at the moment. It’s frustrating really. Just give me the clear bag. I don’t need sparkles. I’m 45 years old. phnrprman, Squirrels, tr707 and 1 other person like this. Go back to your “non-existant cool color ways” epic react 2. ARK and gwizzle like this. 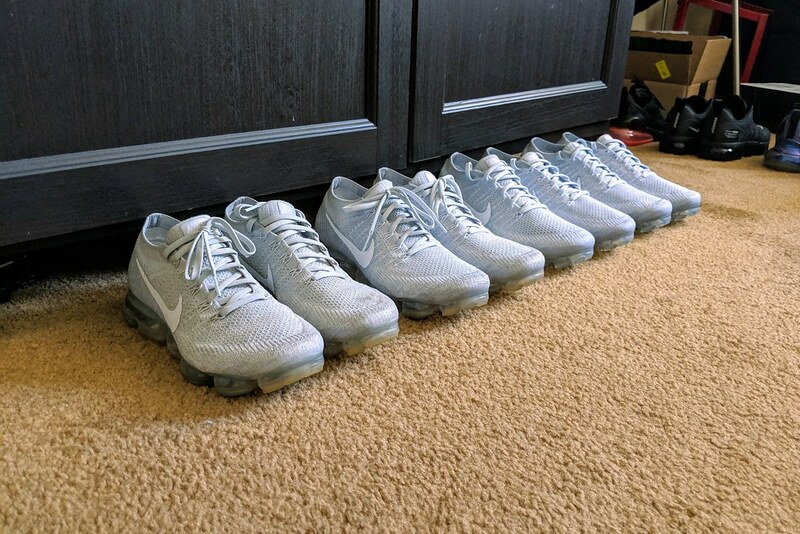 How have you been able to keep your Vapormax 1 clear of any fog? Finally the black 3.0 is up on NDC. Lol eff this release man. They finally go up and they're already sold out of my size. They have my size. Hmm. I haven’t. 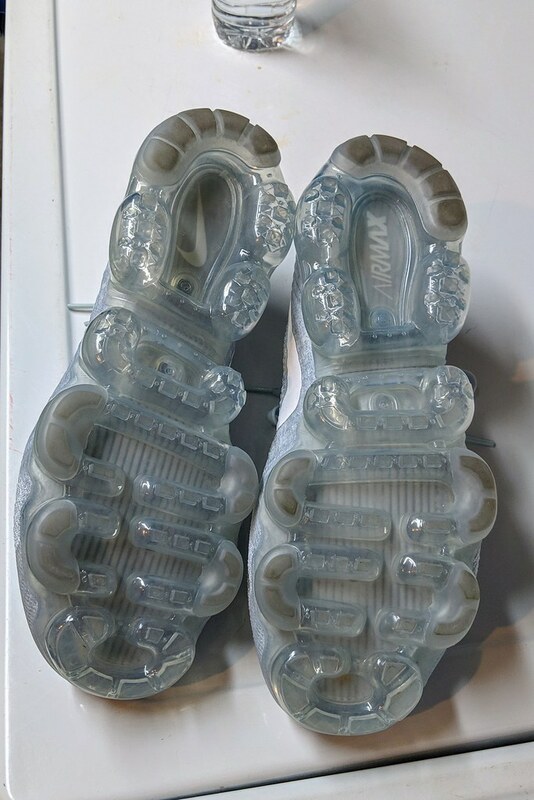 Once you wear them enough times the clouding appears in flex areas of the air bag. Additionally any scuffing on the exterior. acroyal, tarheelz07, rillo561 and 3 others like this. Finally recieved my first pair from Eastbay using that 20% off code. putting in work, fargin, tigo0240 and 1 other person like this. I have that same pair. 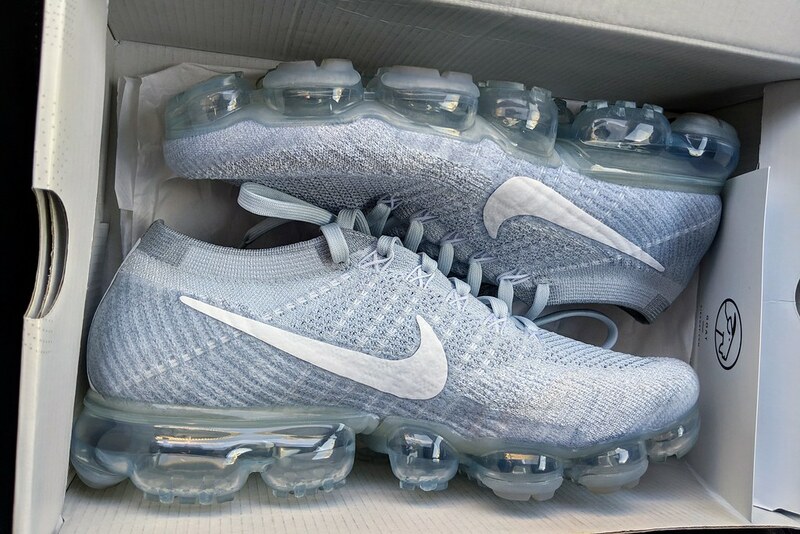 Easily my favorite pair of Vapormaxes. Anyone have the black/racer blue colorway VM 3? It looks quite nice in photos. derry1, snayberry, fargin and 3 others like this. When I say that this is my favorite shoe ever through all my years of collecting, I wasn't kidding around. 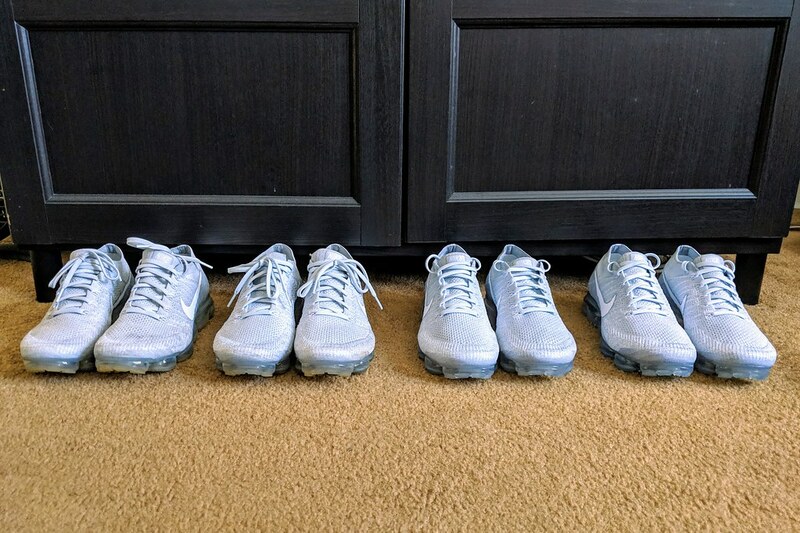 Left pair is the pair I first bought, wore and ran in that's my true-size. At least 275-300 (or more) worth of total mileage on those things. They're now basically my beaters. The 2nd-to-left pair is the one I wear casually now that's comfortably 1/2 size bigger (and much better for me). Then you know the other two. The VM2 was not a great version, and the VM3 is much better than the 2nd one, but nothing compares to the original pair in its original flagship colorway for me. manthonyb, Zainjal26, doublemesh96 and 11 others like this. 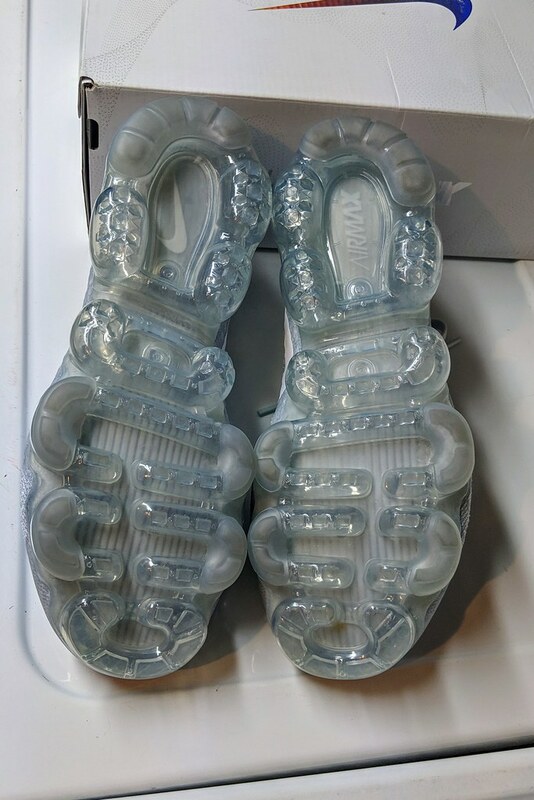 OG Pure Plats are so fire . Mine are obliterated . bigstick2324, shotsrangout, MikeF and 1 other person like this. Yep they are! Yeah, that's why I was searching for a 2nd pair to wear. My first pair is all kinds of messed up. Units are so fogged up that it's halfway from becoming a gas chamber in it. bigstick2324, MikeF and vegetaray123 like this. Mmmm yep, I’m going to need another pair. Damn why did I sell one of them. I’m even thinking about putting an offer on the Pale Grey 1.0.
bigstick2324 and MikeF like this. I was on the fence but I wanted to see it with my own eyes. Buy a pair. Don’t pass judgement without seeing it. I would say it is more supportive and durable. 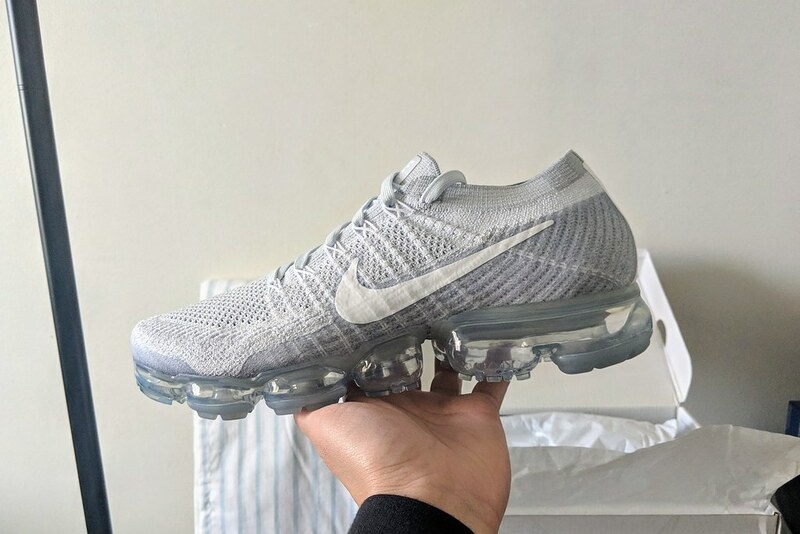 That same 1.0 fly kit pattern is there still. It just has more structure.